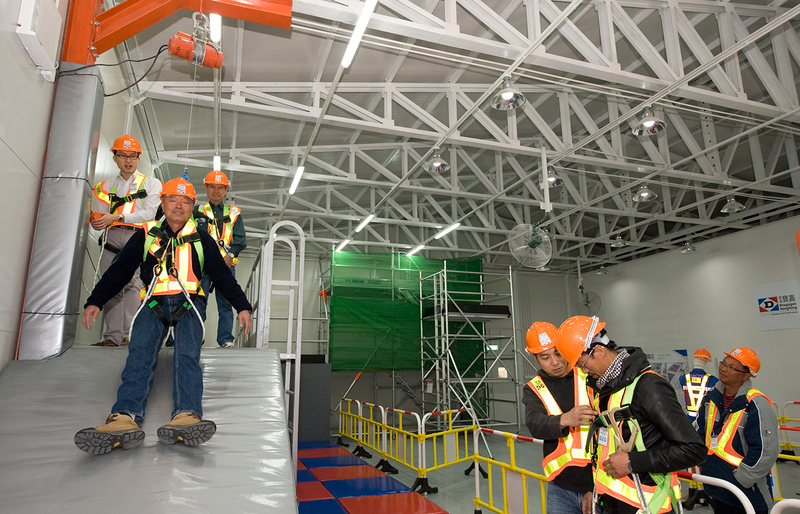 The establishment of the Dragages Hong Kong Safety Training Centre is one of our key company objectives in 2011, which aligns with the principle of Actitudes – “Lead our business sectors in terms of occupational health and safety”. 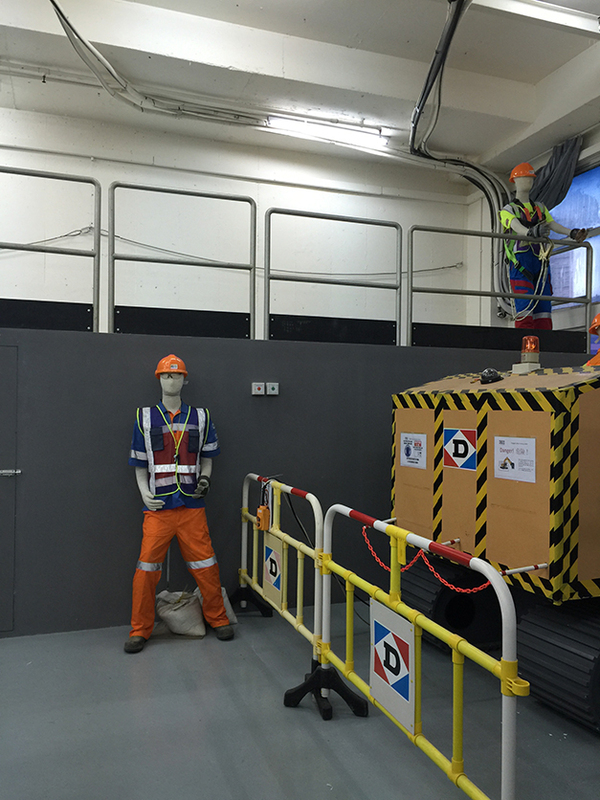 Dragages Hong Kong aims to eradicate all unsafe acts which may still be common in the industry through the provision of practical training with the aid of site simulations in a safe working environment. Nicolas Borit, Managing Director of Dragages Hong Kong, together with Mrs. Marigold Lau, Director of Architectural Services; Mr. Tsui Wai, Deputy Director of Drainage Services; and Mr. TC Chew, Projects Director of MTR officiated the opening of this 1,000 sqm custom-designed building with 500 sqm working area on 23rd February 2011. In early 2016, the Centre relocated to an expanded multi-functional facility of 2,300 sqm in Fo Tan. 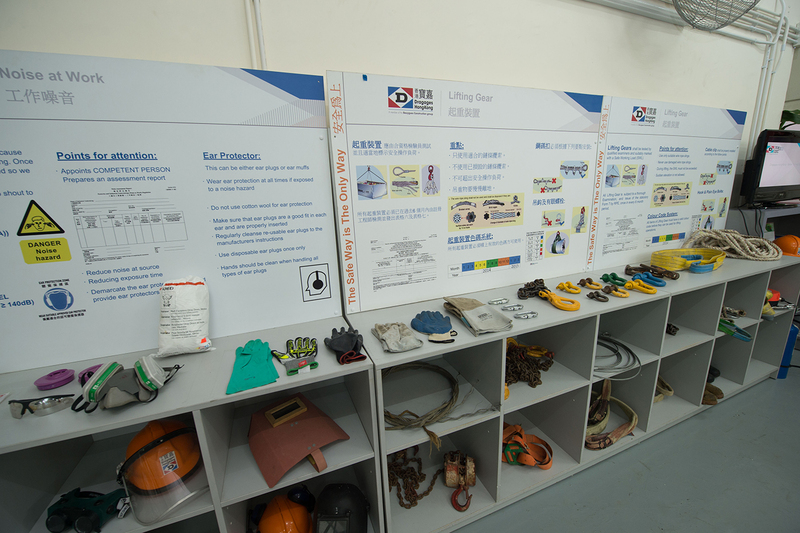 A 1-day basic safety training course (Orange Card) is compulsory and free-of-charge for all people working on Dragages Hong Kong work sites. 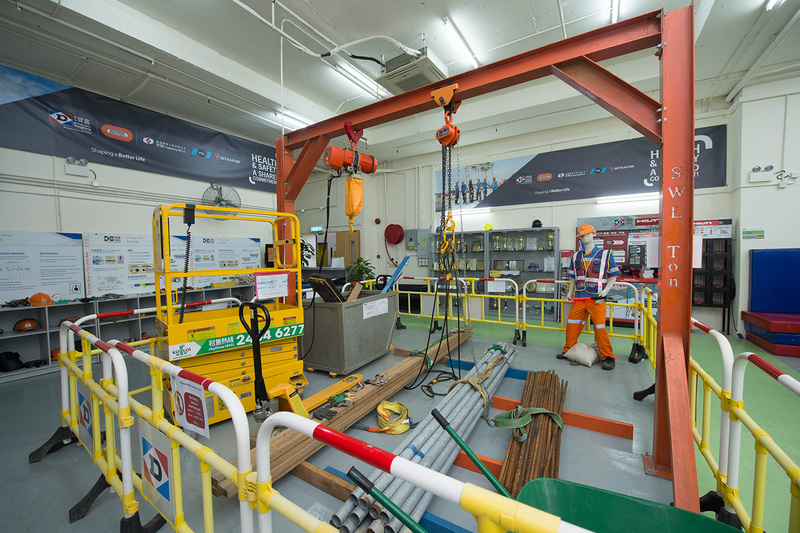 Specific training programmes on various fronts can be found in this Centre – such as working at height operations, which is one of the main causes of serious accidents in Hong Kong. Community relations is always high on our agenda, the Centre works in partnership with nearby schools to provide a Fire and Electricity Awareness at Home course for students. 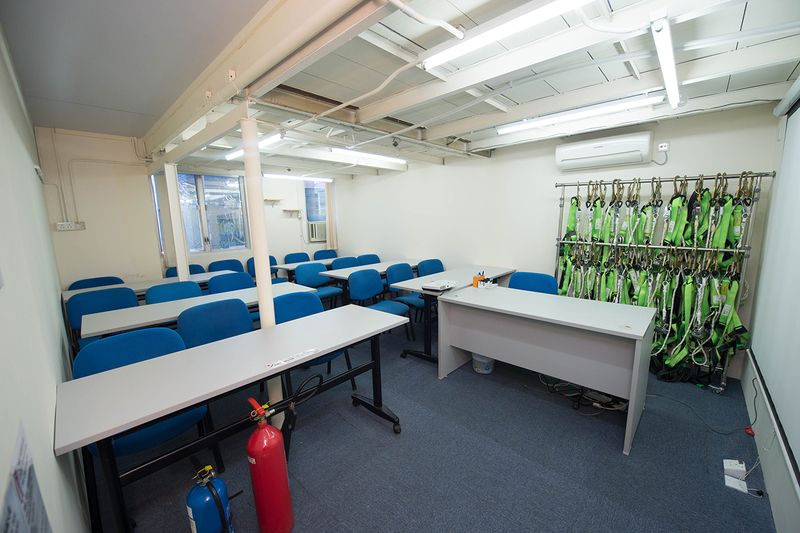 The Centre is equipped with various facilities, simulating real work environment. Safety Workshop – consists of site simulations including work at height, confined space, fixed and mobile scaffolding, lifting operations, moving plant, manual handling and practical assessment corner.